We’re calling it. Mayfield is Newcastle’s next foodie hub. You heard it here first, Cravers! Yet another collective of movers and shakers has popped up in the Mayfield area! Muster Point is home to Melbourne-inspired toastie haven Perry The Feeder Food Truck. You may have already driven past this hidden gem without even realising it! As owner Jules explains, this was a conscious decision - as she wanted the space to feel ‘separate’ from the outside world. And that it does. 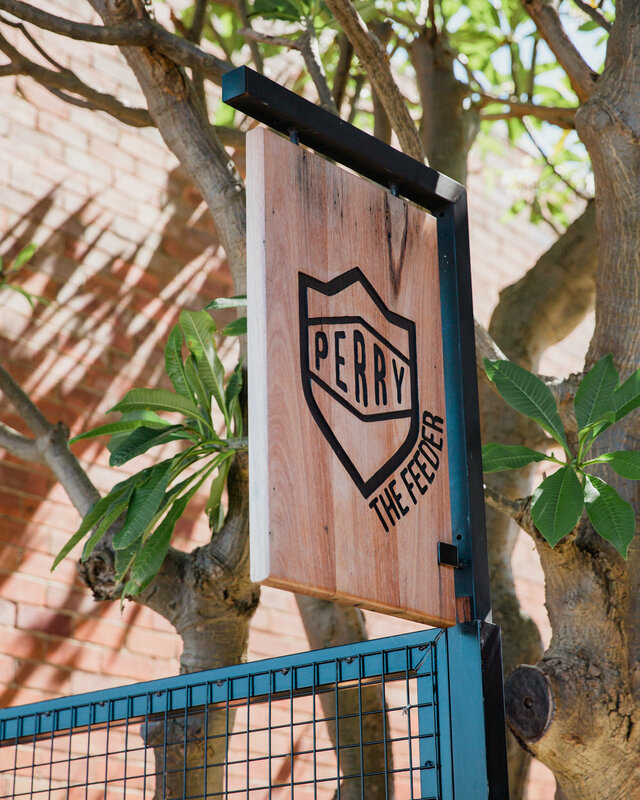 From the street, all that is visible is a small hanging sign displaying the Perry the Feeder logo. 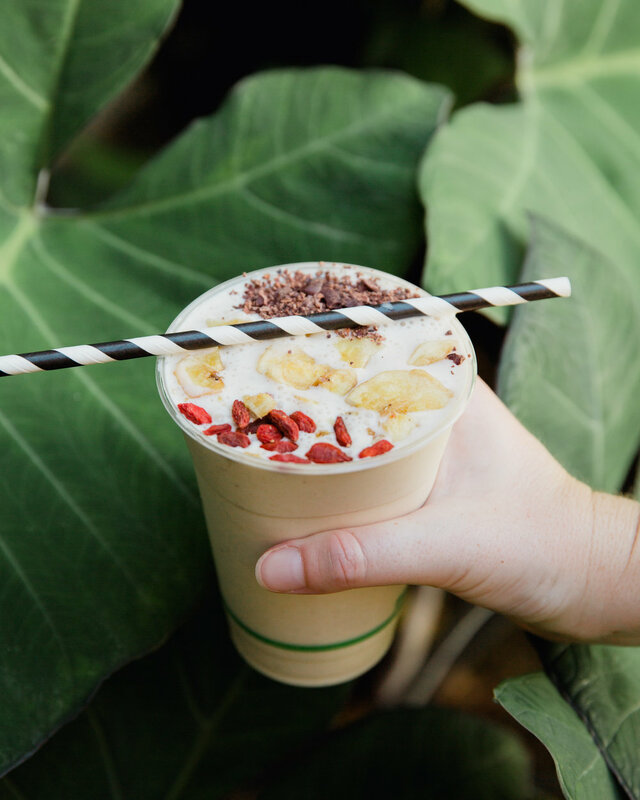 But when you step through the leafy archway, you’re in a completely different space - you’re out of Mayfield and in a tranquil sanctuary of plants, coffee, and friendly faces. Jules explains that the name ‘Perry the Feeder’ is based on the building’s roots. In 1941 the building, then known as Perry’s Corner, was owned by the Perry sisters. Having this connection to the building’s history was important to Jules, as was the sentiment behind ‘feeding’ the people. Food makes people happy, and she wanted the business to reflect that. While toasties are what they’re known for (and for good reason! 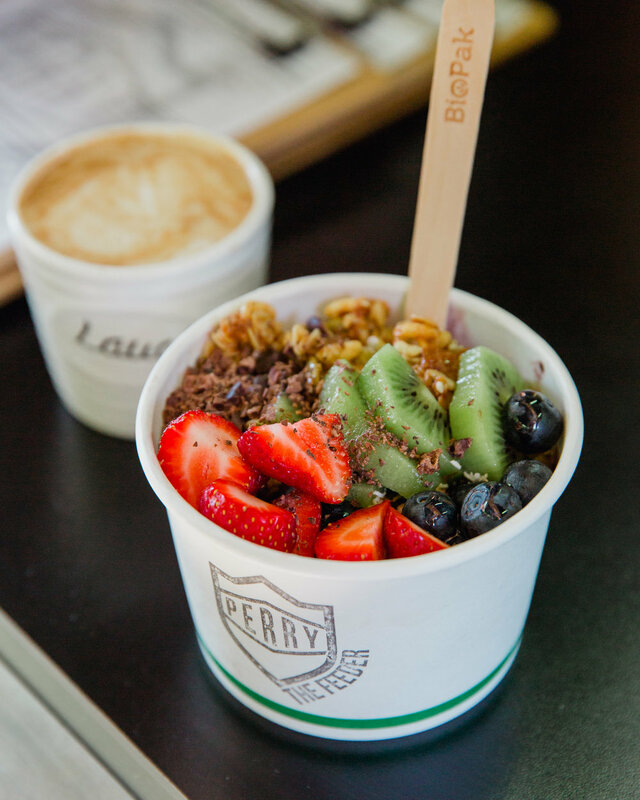 ), Perry also ‘feeds’ the masses with delicious acai bowls, crumpets, and smoothies. There’s something for everyone at this cute little spot! Perry is pup and pram-friendly so be sure to bring your little friends along to run around the green courtyard. Do yourself a favour and check it out next time you’re on the ‘other side of the tracks’!